Tata Consultancy Services, (TCS), (BSE: 532540, NSE: TCS) a leading IT services, consulting and business solutions organization, has donated 5,000 pro bono technical and scientific research hours to Seattle Children’s Center for Integrative Brain Research (Seattle Children’s), in a collaborative effort to discover the causes of Sudden Unexpected Infant Deaths (SUID), which includes Sudden Infant Death Syndrome (SIDS). 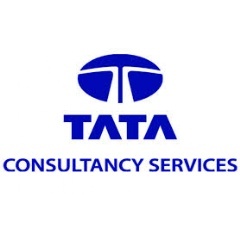 A part of the Tata group, India’s largest multinational business group, TCS has over 411,000 of the world’s best-trained consultants in 46 countries. The company generated consolidated revenues of US $19.09 billion in the fiscal year ended March 31, 2018, and is listed on the BSE (formerly Bombay Stock Exchange) and the NSE (National Stock Exchange) in India. TCS’ proactive stance on climate change and award winning work with communities across the world have earned it a place in leading sustainability indices such as the Dow Jones Sustainability Index (DJSI), MSCI Global Sustainability Index and the FTSE4Good Emerging Index. For more information, visit us at www.tcs.com.